When Michele & Marcus were discussing what type of food they wanted for their wedding they decided that one theme wouldn't do. 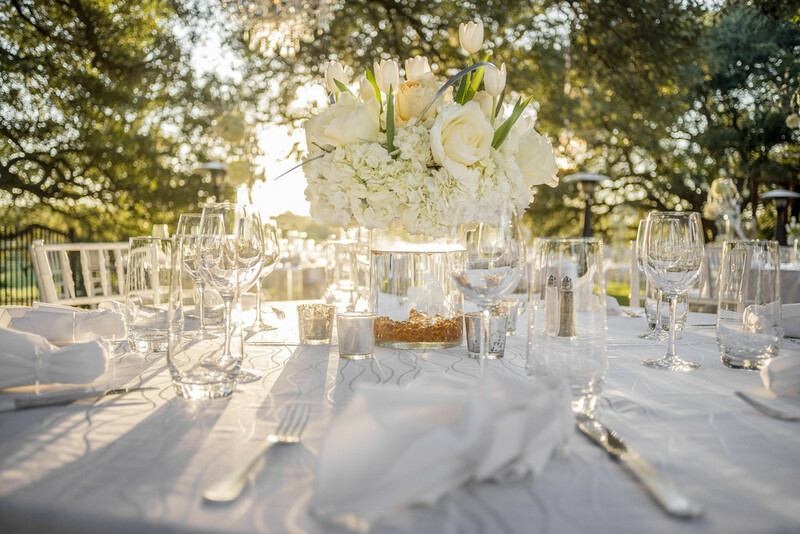 They wanted their guests to experience all the best that Texas had to offer as well as some personal favorites. That's why we helped them create four different food stations, each catered to their tastes. The stations occupied each corner of the room and in the middle of the hall was their multi-tiered, flower-garnished cake, a show-stopping centerpiece to their magical day. Jessica is the perfect southern belle and Greg is the quintessential Texas gentleman. We knew from the very beginning that all we had to do was make the wedding as lovely as the bride; we had our work cut out for us. This dashing couple were fun to serve at their Supper Friends tasting and we all loved the menu they chose. 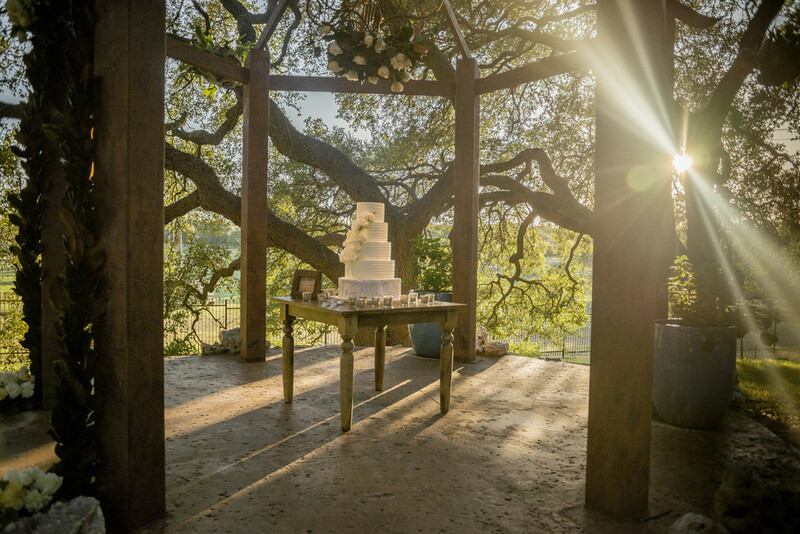 Megan & John came to Central Texas with a magnificent vision for their destination wedding. 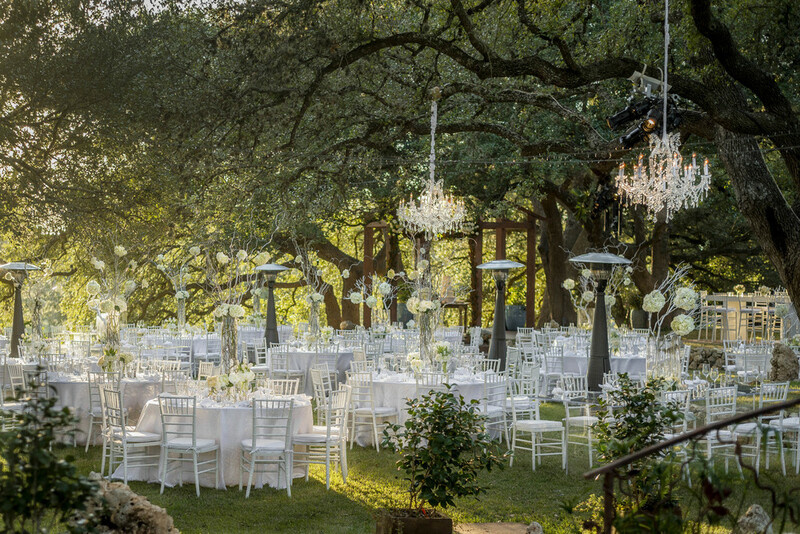 Situated at the beautiful Wild Onion Ranch, Megan & John treated their guests to fun Texas themed food stations under a beautiful canopy of oak trees and crystal chandeliers. Guest sat astride Texas longhorns for a unique twist on a wedding photo booth and we provided a Scotch bar for the guests to sip while dancing under the stars.